Earlier this year SJ Insights launched our Senior Social Media User Panel, an ongoing national market research study on the social media habits of seniors who have one or more social media accounts. 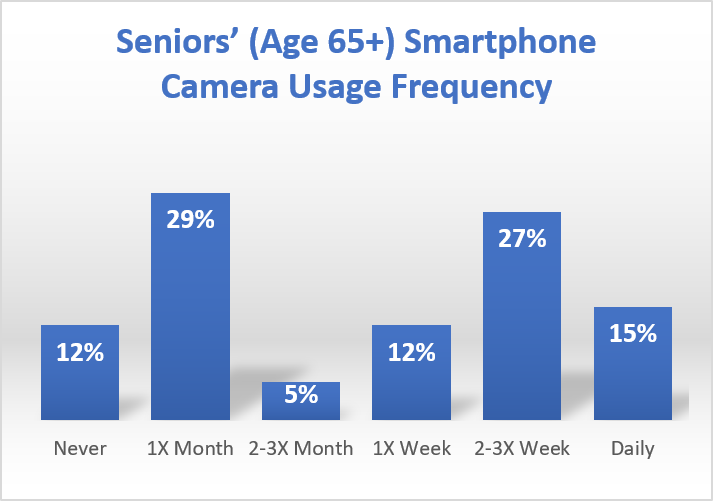 We recently probed smartphone camera usage with the panel including how often and why they take pictures, and if they post their pictures (or videos). 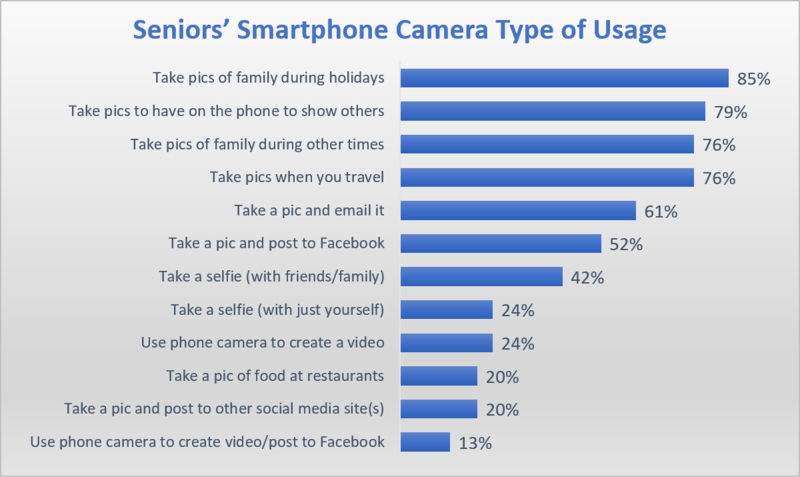 While certainly not as active as Generation X and Millennials, Baby Boomers and even older adults use the camera on their phone quite frequently. They are also posting their pictures to Facebook or another social media platform, and many are taking selfies with friends and family and even selfies just by themselves. Please note: If you are interested in submitting one or more questions for the panel in our next wave of the survey, let us know. For a nominal fee we can include up to 3 custom questions. Responses would be kept confidential to the marketer. If interested, contact sheree@sjinsights.net for pricing/more information. ‹ Does Your Business Use “Creative” Job Titles?